It's the final day of work for more than 300 employees at Carrier's Indianapolis plant, a facility that rose to national prominence after then-candidate Trump criticised Carrier's plans to close it and ship production to Mexico. The administration reached a deal to keep 1,069 jobs at the plant for 10 years, in exchange for $7 million in incentives. But the company is moving forward with plans to move other jobs to Mexico while also investing in new labor-saving technologies. 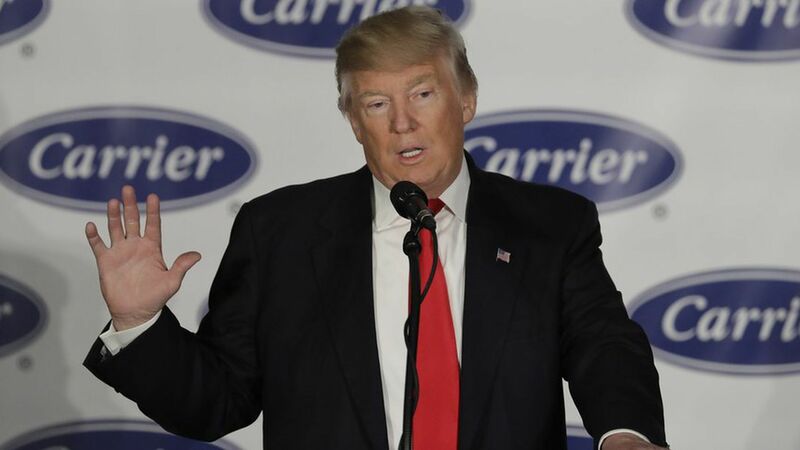 Why it matters: The Trump Administration scored a PR victory when it won Carrier's promise to keep some jobs in Indiana, but it hasn't implemented policies, like aggressive new tariffs, that would cause multinational corporations to reconsider efforts to save money through offshoring.